Sales and marketing professionals spend lifetimes wondering: what factors determine if a phone call converts into an appointment, request for more information, or a sale? After analyzing millions of calls with Conversation Analytics, we have the answer. 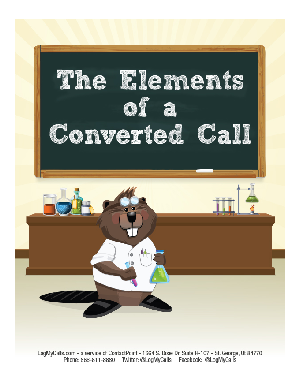 Learn the 9 ways converted calls are different from other calls, which 10 elements of a call convert the call 80% of the time, and which sales skill makes a caller 10.4x more likely to convert. This White Paper is not a sales guide (though you’ll find some good tips), it is data from phone conversation analysis.